VEVO is a music video sharing site where you can watch your favorite music video, search for any new music and see wonderful premiere performances. However, you can’t download VEVO videos; let alone listen to VEVO music on your portable devices. So if you want to download VEVO to MP3 on Mac, you need to a credible VEVO to MP3 converter to help you. And here Aimersoft YouTube Downloader for Mac is highly recommended. 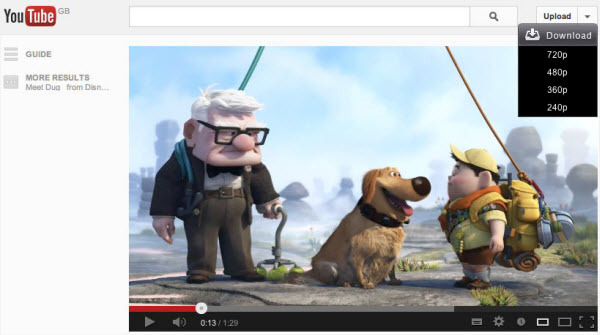 Aimersoft YouTube Video Converter Mac is a one-stop program. With it, you can download and convert VEVO music to MP3 format with a few clicks. Besides VEVO, it can also download videos from YouTube, Vimeo, Hulu, Dailymotion, Blip TV, Metacafe and more. After successfully downloading the videos, convert them to many popular video/audio format like MOV, AVI, WMV, MP4, MPEG, WAV, M4A and more. Moreover, it also offers many optimized presets to fit various mobile devices like iPhone, iPad, iPod, PSP, PS3, Android smart phone and more. This VEVO to MP3 converter works for Mac OS (Mountain Lion). If you want to convert VEVO music video to MP3 format in Windows, just have a try on Aimersoft YouTube Downloader. This all-in-one VEVO converter is able to download, convert and edit any videos with fast speed and high output quality. Download and install Aimersoft YouTube Downloader for Mac. Run this application. Visit VEVO with Chrome, Safari or Firefox, and search for the videos you want. When the video is playing, there will appear a Download button. Click it and then the video you are watching will be downloaded automatically. You can also copy the video URL and turn to the program’s interface to click “Paste URL”. Directly drag and drop the video URL to the interface can also help to download the video you choose. After the video is downloaded successfully, click the Convert button beside it and there will come out the output format window. Choose MP3 from Audio category. As you can see, there are also many other formats for various devices. Just choose what you need. In this step, what you need to do is to click “OK” to start converting VEVO music to MP3 format. Now you can enjoy any VEVO MP3 music on the go without any hassle. It’s so easy, right? Download to convert VEVO to MP3 now! I'm a big fan of music and always like to have a song playing on my iPod. But it's so expensive to buy music off Amazon or Itunes. But now that's not a problem anymore. Very easy to build a big playlist of songs with this Vevo to mp3 software. Cool, thanks for sharing the awesome tutorial.. Now i can easily convert all my vevo music videos..
Well vevo is my favorite music video sharing site, it is one of the best site which provides free music videos. To covert vivo to mp3 we need some good software, here Aimersoft YouTube Video Convertor is a one-stop program which can easily convert vivo files.